Let’s go together on an amazing journey in savanna! 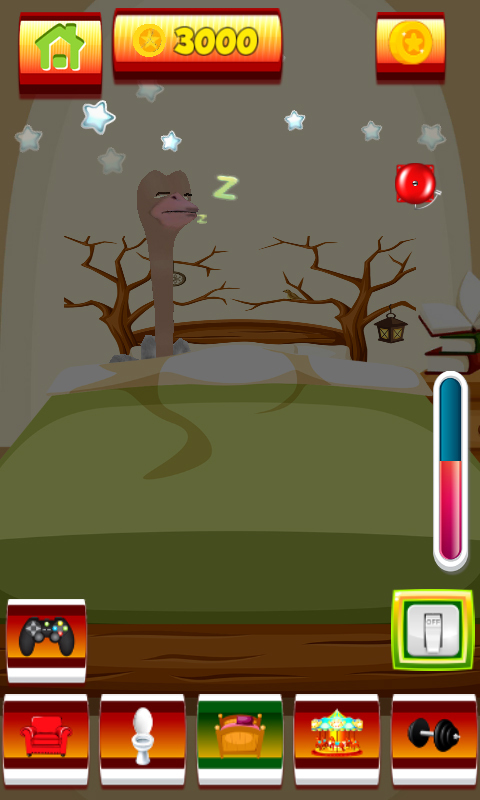 Meet the cute buddy, who will quickly become your favourite virtual pet. 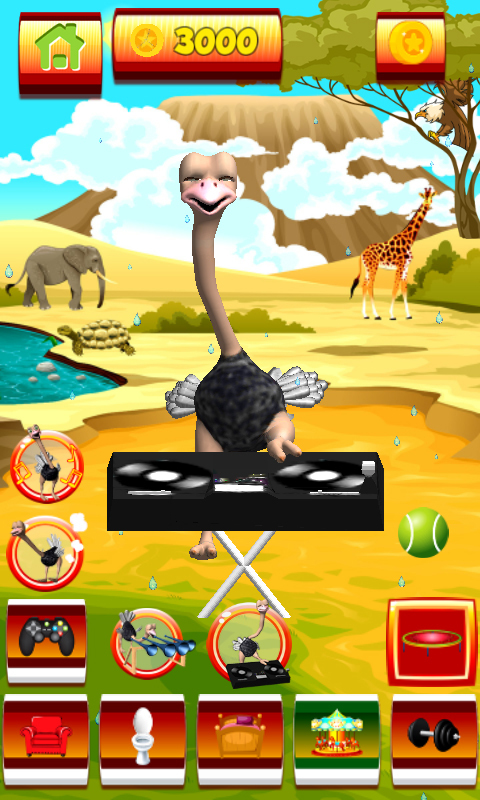 Download free Talking Ostrich game app and you are guaranteed to have fun. This wild bird has an awesome house with beautifully decorated rooms. He cares about his looks, so he has a nice home gym where he exercises and does his daily workout. 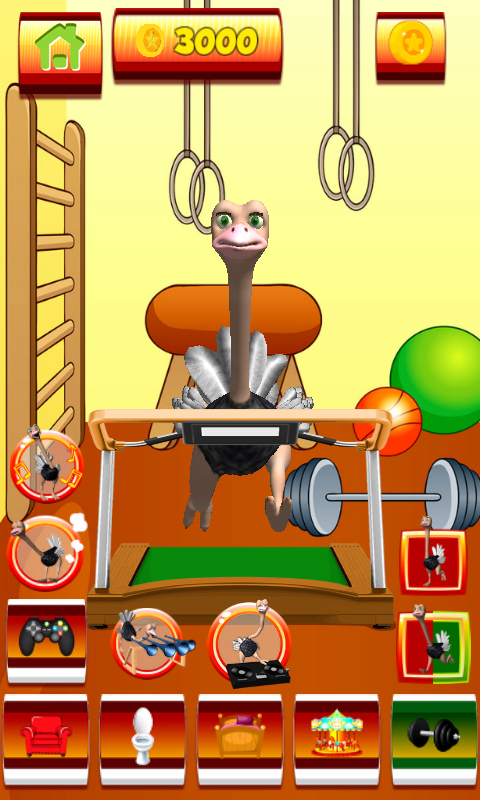 You and the ostrich will collect coins together and enjoy in amazing mini games. You will unlock all of the rooms together. Wait till you see his cool playground! He has a gorgeous bedroom, he can dance, jump, so the fun is guaranteed. 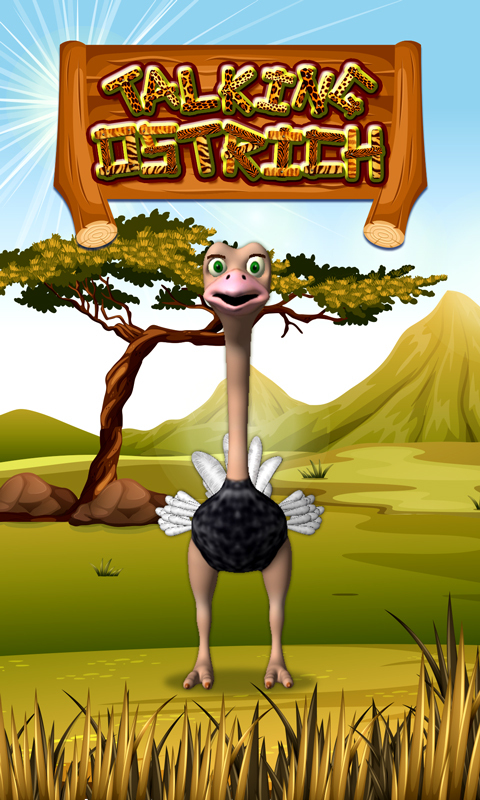 Grab your smartphone and download the latest ostrich game that will surely make you happy! This hero made a top home gym, and the treadmill is what he loves the most. He can run or walk on it, it is your choice. The ostrich can fart, dance, and he is very good at sports. That is why he has an awesome playground and a trampoline where he can jump.